The case that put a spotlight on gender discrimination in Silicon Valley has officially ended. Ellen Pao announced she will drop the appeal against her former employer, venture capital firm Kleiner Perkins Caufield & Byers. 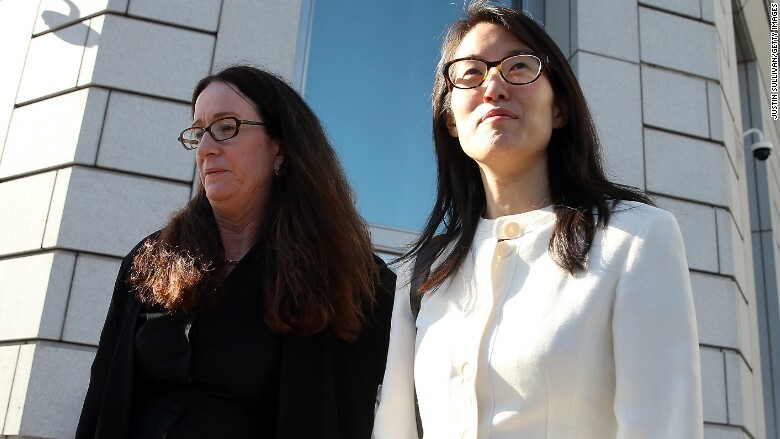 Pao also agreed to pay $276,000 for Kleiner Perkins' legal costs, as ordered by the court. A jury sided with Kleiner Perkins in March after a lengthy, closely watched trial. The payment marks the end of the case but is not part of any official settlement between the two parties, Pao emphasized. "Settlement might have provided me with financial benefits, but only at the great cost of silence," said Pao in a statement. "I refuse to be silent on these important issues." The case started more than three years ago when Pao sued Kleiner Perkins for $16 million over gender discrimination and retaliation. Pao claimed she was denied promotions because of her gender, and was eventually fired in 2012 for complaining about discrimination. "We are glad to put this trial behind us," Kleiner Perkins said in a statement. "There is no question diversity in the workplace is an important issue. KPCB remains committed to supporting women and minorities in venture capital and technology, both inside our firm and within our industry." Though Kleiner Perkins won the case, its reputation may have been damaged by details that came out during the trial, including sexist remarks and inappropriate behavior by its male employees. After the trial was over, Kleiner Perkins and Pao went back and forth over which party should pay for legal costs. At one point, Kleiner Perkins asked Pao to pay $1 million in fees. Pao asked for $2.7 million. In the end, Pao said she could not afford to battle a firm with "tremendous financial resources and massive legal and PR armies." The case was also taking a toll on her family and professional life, she said. In an essay on Re/Code, Pao details her struggles with the case, the problems with attempting to solve discrimination through the courts, and the her future plans: "I plan to continue moving these issues forward by writing, investing and working in the tech industry."